Power strips can be found in almost every home. These are components that let you plug in two or more electrical or electronic peripherals by using just one primary port. These are also known as surge protectors in some implementations. These are essential for every home as they can cut down the amount of ports and plugs used in your home. Did you know that there are smart power strips available in the marketplace? Well, these are like regular power strips but with Wi-Fi connectivity, allowing you to control their functionality with your smartphone or through a voice assistant like Amazon Alexa and Google Assistant. These add more utility to your home, especially if you’re into home automation and are already invested in Smart Home products. So let’s have a look at some of the best smart power strips that are available for purchase. From the outside, this looks like just another ordinary power strip. But it comes with Wi-Fi on board, allowing you to turn it on or off using just your smartphone or voice assistant. This particular device works in tandem with the Tuya Smart app that can be downloaded from the Play Store. 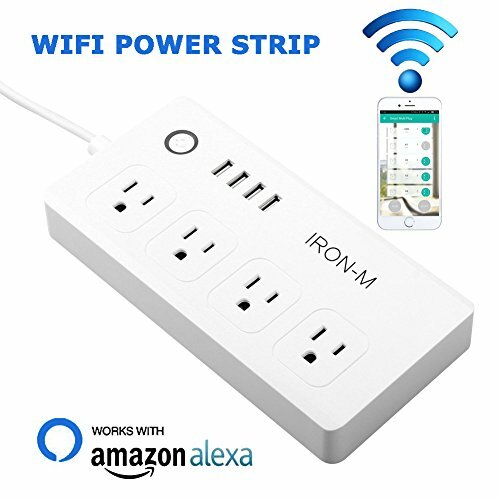 The power strip requires a secure 2.4 GHz Wi-Fi connection to work, making it compatible with most home Wi-Fi routers out there. Thanks to the app, you can schedule the on/off timer to work as per your convenience. Another handy feature here is the ability to control it from practically anywhere, so you could be away from home and still be able to control it using your smartphone or tablet. It also comes with four full sized USB ports to let you charge your smartphone or other peripherals. What’s even better is the fact that it only costs $19.99 on Amazon right now. If you’re a fan of automated home peripherals, a smart power strip like this is the first thing to buy right now. 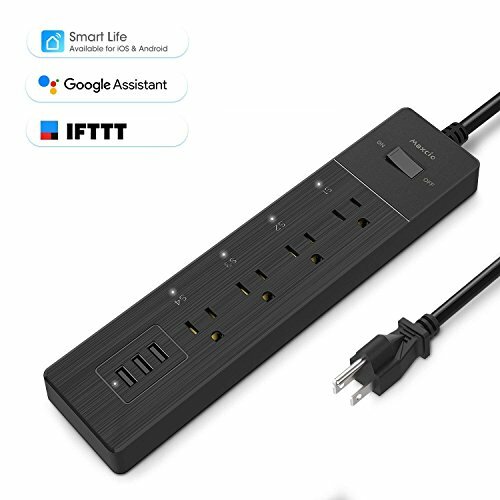 This particular power strip is compatible with Amazon Alexa, Google Assistant as well as IFTTT. The dedicated Smart Life application allows you to control key aspects of the power strip, making it ideal for use when you’re away from home. Given that it supports a number of automated services, you can even use the features of this smart power strip with your voice. It comes with a total of four outlets and users can control each outlet individually or together. If you have appliances plugged into this smart power strip, the timer function can help you cut down on your utility bills significantly. Let’s say you have a washing machine plugged in and forgot to turn it off. Enabling the timer function will make sure the appliance is turned off, saving plenty of energy in the process. This power strip doesn’t require a smart hub appliance to work. All you need is the aforementioned Smart Life app from the Play Store and you’re good to go. There are three USB ports here, allowing you to charge your phone or tablet. The power strip is made using UL-94-V0 materials, which makes it fireproof. This handy smart power strip is priced at $32.99 on Amazon right now. This is pretty similar to the offerings we’ve talked about above, although it comes with a more refined design. Also, there are four full sized USB ports here, letting you charge up your phone, tablet or even smartwatch. Each USB port has a maximum power output of 12W, which is plenty for any device to charge. As for the outlets, there are a total of four, which can all be controlled over an internet connection (2.4 GHz Wi-Fi) and your smartphone/tablet. Although the four outlets can be controlled individually, the USB ports can be turned on or off together, which is a minor inconvenience but not necessarily a dealbreaker. Thanks to the intelligent smartphone app, you can schedule its running time to save big on energy costs. The idea behind automated and smart power strips is not only to offer control to the users, but also to save up on annual energy costs. Details on the smartphone/tablet app will be available in the user manual when you purchase the product. The manufacturer mentions that the app is compatible with Android 4.1 and higher, so you should be good as long as you have a phone or tablet that was launched in the last few years or so. This is one of the inexpensive options at only $19.99. You can check it out on Amazon. 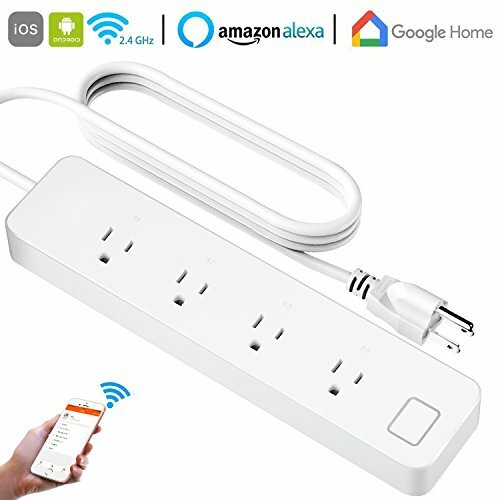 This particular smart power strip (unlike others on this list) has been certified to work with Amazon’s Echo devices and Alexa voice assistant. 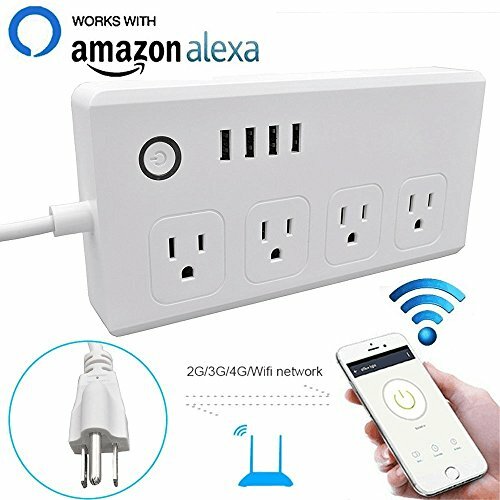 This means you can control the functionality of this power strip with a simple command to Alexa. 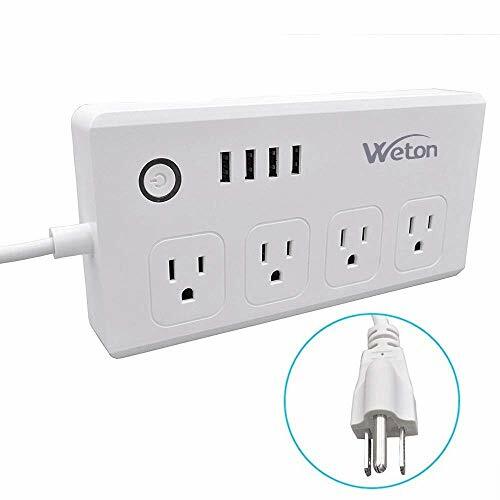 Weton makes a myriad of products, including Wi-Fi enabled plugs, and this is yet another quality offering from the company. In terms of functionality, however, it’s pretty much the same as the power strips we’ve mentioned above. While power outlets can be controlled individually, the four USB ports can be turned on or off together. This power strip doesn’t support 5 GHz Wi-Fi networks, so you will need to have a 2.4 GHz compatible Wi-Fi setup at home. This particular unit is slightly expensive at $29.59, but still cheaper than most smart power strips. 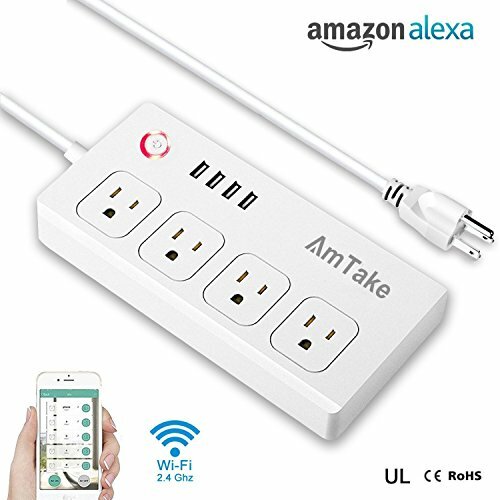 Yet another product certified by Amazon to work with Alexa, the ANEKEN smart power strip comes with four individually controllable power outlets. There are no USB ports here, however, which is a bit of a letdown. But given that a product like this is used for automation and extended control, we don’t see this as much of a negative to be honest. You can schedule the functioning of this power strip, so it’s pretty similar to other offerings that we’ve talked about on this list. 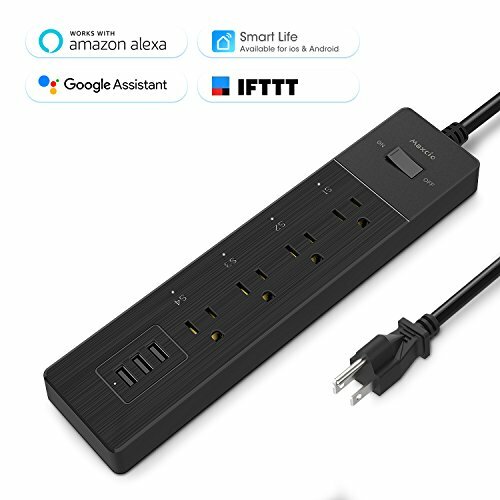 Amazon is currently offering this smart power strip for $29.99. This product is also compatible with Google Assistant.